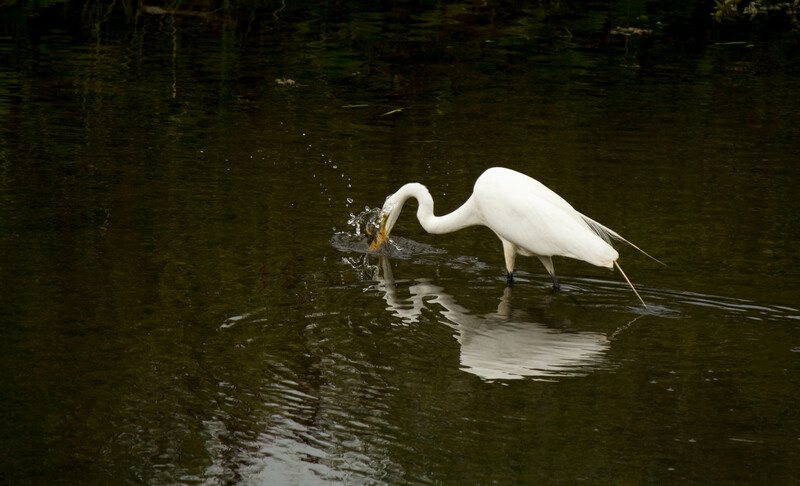 The egret was fishing in his usual spot in the river – he can be found there most mornings. So I was taking photos of his strange egret-y shape, gangly and odd and awkward, he flying away further upriver whenever I got too close, moving us both further and further upstream, until I sensed something in the grasses behind me. There was a presence – or perhaps a flicker in the peripheral vision – of movement, of something, of someone. And then I saw him – utterly still in an effort to remain invisible. Forgetting the egret now, eyes focused into the grass, I managed a couple of photos, but when I moved and looked again, I’d lost him. 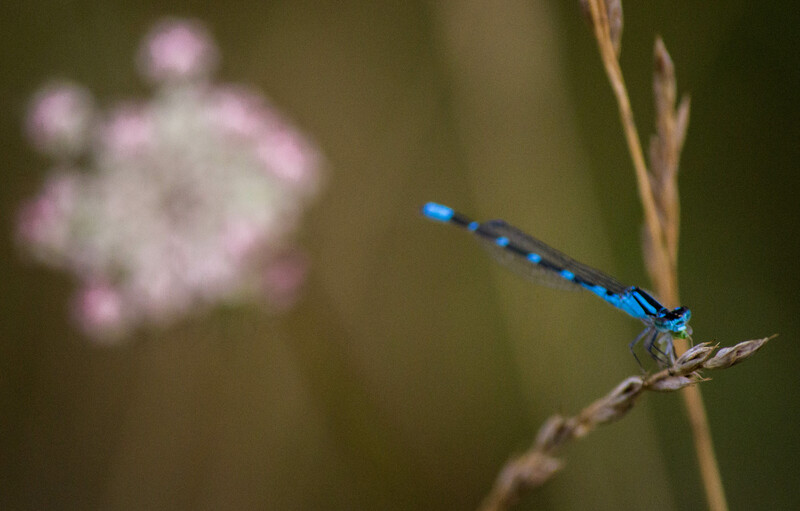 Wandering deeper into the field, trying to track him down, I realized there were tiny flecks of blue everywhere in the tall grasses around me. 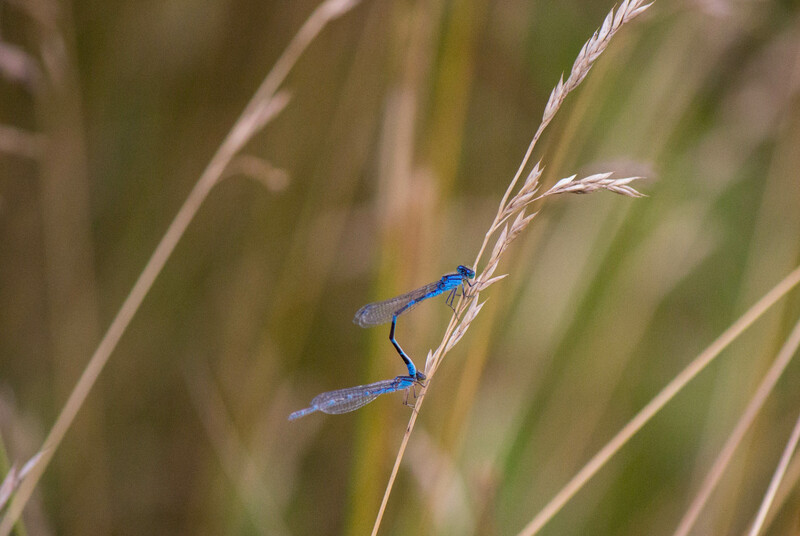 The entire field was filled with strips of blue, and now, forgetting the bunny after forgetting the egret, I focused on the dragonflies, many of them having their private moments in flight, hovering, or resting briefly on the stalks. What an intruder I was to each of these critters, and yet, invasive human, I didn’t hesitate. Wonderful post! Love the images. Thank you for taking us with you on your adventure! Lovely, lovely……open to the natural world, we are visited with Delight…thanks…. Lovely photos, and I really like the way you’ve created a story around them. 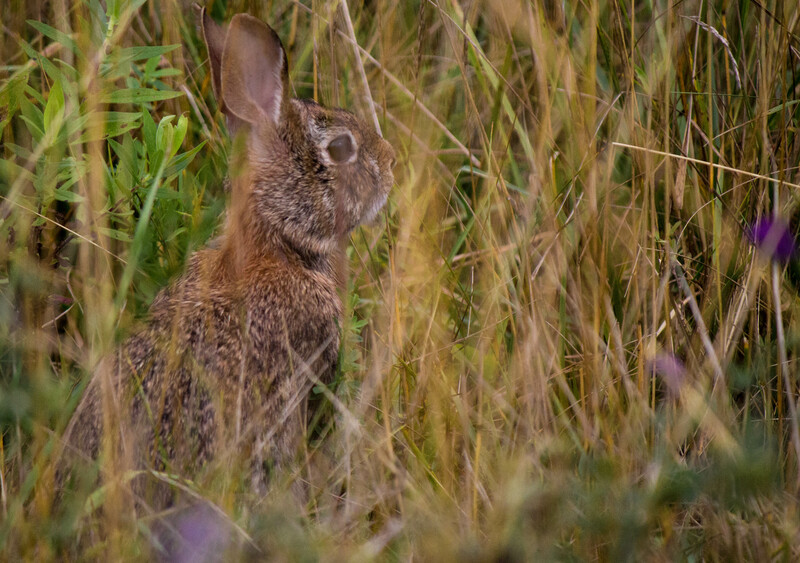 Aren’t rabbits and hares funny the way they think if they’re completely still you can’t see them. Oh, that blue took my breath away! Such a startling turquoise, isn’t it!?! 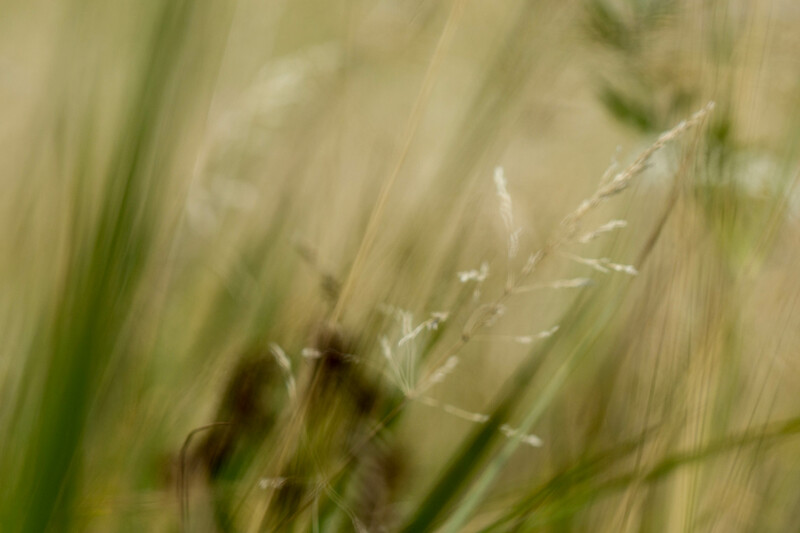 This is lovely, especially the unfocus; such a great and inspiring interpretation of the theme! This is absolutely lovely! Well done! The text is so mysterious and lovely — really helps to have them accompany the photographs! Oh, I like that word, “mysterious” – thanks for that! Love that double blue shot!! Lovely photos for this challenge. Love the shot of the bunny! !